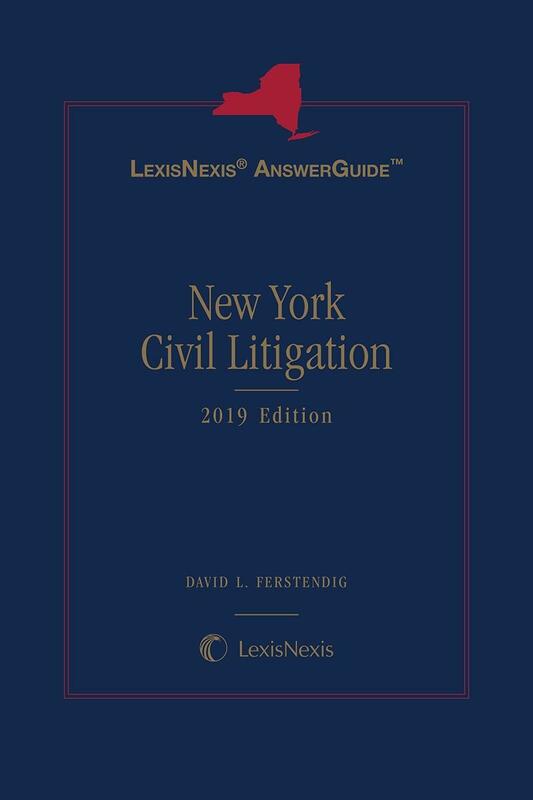 The one-volume LexisNexis AnswerGuide New York Civil Litigation provides direct, New York-specific answers to questions that arise in day-to-day practice. It covers important topics related to civil litigation, including initial pleadings, jurisdiction, statutes of limitations, and venue. by David L. Ferstendig, Esq. 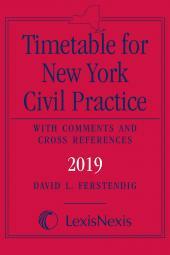 Authored by David L. Ferstendig, of the Law Office of David L. Ferstendig, LLC in New York City, with more than 30 years' trial experience in New York Courts, LexisNexis AnswerGuide New York Civil Litigation offers valuable insights for dedicated trial lawyers, civil practitioners, new associates, and paralegals. It includes 90 detailed, task-oriented checklists, and more than 100 practice pointers and insights (Warning, Strategic Point, Exception, Timing) to ensure best practices and avoidance of potential practice pitfalls. LexisNexis AnswerGuide products are available in eBook, print and online and combine practical answers with guidance to relevant cases, codes, rules and in-depth analytical sources. 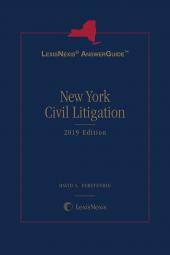 In print, LexisNexis AnswerGuide New York Civil Litigation serves as a portable practice resource for the New York civil litigator. Cites to case law, statutory and analytical cross-references searches are designed to bridge the gap between print and online sources, making in-depth research easier and more on-point than ever before. David L. Ferstendig, currently a member of Law Offices of David L. Ferstendig, LLC, New York, was a founding officer of the law firm Breindel & Ferstendig, P.C. He litigates a spectrum of civil and commercial matters, including breach of contract, products liability, toxic tort, insurance and reinsurance coverage, jewelers’ block, political risk, environmental liability, trade secret, and professional indemnity. Mr. Ferstendig is also an adjunct law professor at Brooklyn Law School and New York Law School, where he teaches New York Practice. He is the General Editor of Weinstein, Korn & Miller New York Civil Practice: CPLR (LexisNexis), the premier 15-volume litigation treatise cited regularly as authoritative by New York State and Federal courts; author of Ferstendig, Chase New York CPLR Manual (LexisNexis) and LexisNexis AnswerGuide New York Civil Litigation; and General Editor of CPLR Practice Insights, published in New York Consolidated Laws Service (LexisNexis). He has written articles for the New York Law Journal, authored a law review article entitled: “A Practitioner's Continued Uncertainty: Disclosure from Nonparties,” 74 ALB. L. REV. 731 (2010/2011) and was a panelist at New York University School of Law in March 2013 for the symposium entitled “The CPLR at Fifty: Its Past, Present, and Future” which resulted in the publication of his remarks, “The CPLR: A Practitioner’s Perspective.” Mr. Ferstendig has co-authored two law review articles with Professor Oscar Chase of NYU Law School entitled: Chief Judge Kaye: Improving the Pace and Integration of Litigation, 92 N.Y.U. L. REV. 11 (2017) and Should Counsel for a Non-Party Deponent be a “Potted Plant”?, 2014 N.Y.U. J. Legis. Pub. Pol'y Quorum 52. Mr. Ferstendig has provided expert testimony interpreting the meaning and application of New York law and was quoted as an expert on legal procedure in New York in The Washington Post. He was also a 2015 and 2011 recipient of New York Law School’s Otto L. Walter Distinguished Writing Award. A graduate of New York University School of Law, Mr. Ferstendig has lectured on civil practice issues for bar associations, the New York State Judicial Institute and LexisNexis. 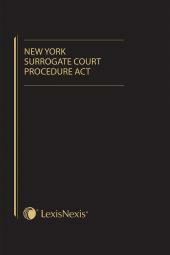 He is a member and past Chair of the CPLR Committee for the New York State Bar Association. 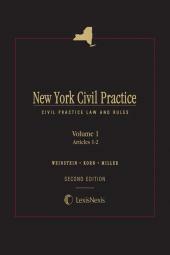 Effective with the May, 2015 edition, Mr. Ferstendig became the Editor of the New York State Law Digest. He was selected by the New York State Board of Law Examiners as a faculty member presenting Civil Practice and Procedure to 2016 bar examination candidates as part of the New York law course.